JobWatch ensures that health and safety is right at the heart of workflow. This includes mandatory tasks and inspections that must be carried out and signed off before a mobile worker can begin work. JobWatch automatically presents the correct health and safety worksheet associated with the job type that is being carried out. 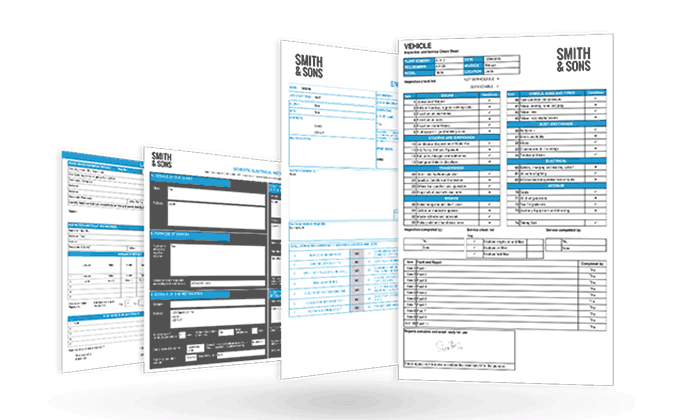 Professional, branded and formatted PDF forms are outputted for secure storage or to be shared with the customer. Documents such as risk assessments and method statements can be instantly attached to a job, ensuring mobile workers can access them on demand. Where vehicle tracking is also installed, JobWatch captures information about driving style and behaviour across a number of key metrics. Dangerous occurrences such as speeding or excess driving hours are flagged and allow prompt feedback from management. The JobWatch app also delivers a tailored debrief at the end of each day.